Continuing our Go with the Flow blog series of looking at controlling, sensing and managing fluid flows, we will be looking at controlling the flow. In our last blog we looked at isolating fluid flows with our hygienic isolation valves, in this next blog we will be looking at our range of control valves aimed specifically for sanitary environments for controlling fluid flows. Our 3 Piece modulating ball valve for use in sanitary flow applications. The valve has wetted parts polished to Ra≤0.8µm, with virgin PTFE FDA approved cavity filled seats. 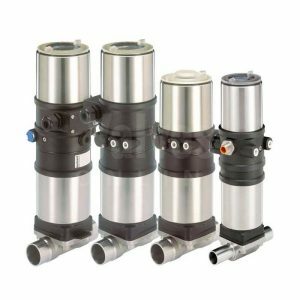 The valve is actuated with a high quality Pneumatic actuator and is controlled via our state of the art digital electro-pneumatic positioner, that accepts various input signals. Available in either Tri-Clamp or OD Weld ends we can offer this control valve off the shelf from our stocks. In addition, we can fit a water/steam heating jacket to this valve that enables seal changes to be undertaken, which is as far as we know the only one that can do this to. The Burkert 2103 Element diaphragm valves is a fantastic option for fluid control in hygienic systems offering: hermetical separation of the fluids from the mechanism, zero dead volume and certified according to FDA regulations. Valves Online can offer it as the 8801 Control system exhibiting position feedback via contact free sensors with the option of on/off control from an integral solenoid. We can also offer it as the 8802 Continuous control system with a digital electro pneumatic positioner fitted to the ELEMENT actuator enabling accurate flow control via 4-20mA or 0-10V analogue signal. This valve provides reliable and continuous control coupled with aesthetically pleasing looks. 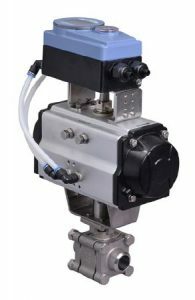 The NLR is a proportionally controlled pneumatically actuated valve designed for flow control in the dairy and food processing industries, beverage production, pharmaceutical and fine chemicals industries. Applications including control of flow, pressure, tank level and temperature. The position sensor instantly controls the operating position to keep the valve in the position determined by the user (PD function) or by a process parameter (PID function). There are two options for the positioner either: control from a standard input signal sent by an external element, or an internal controller integrated into the positioner. Our next blog in our Go with the Flow Series will be looking at Sensing the Flow. 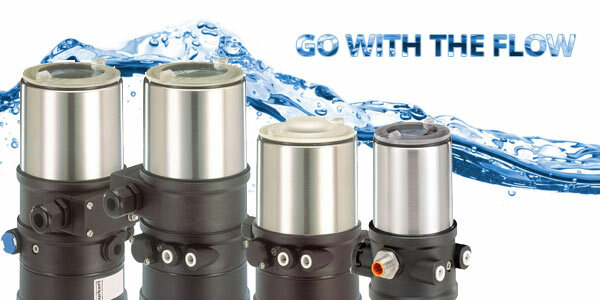 Showcasing the range of hygienic sensors on offer at Valves Online.